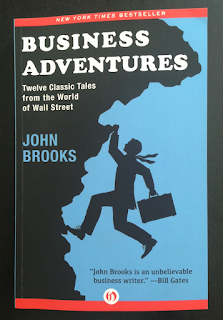 "Twelve Classic Tales from the World of Wall Street"
Great intro and am already absorbed with the first story "The Fluctuation." Quick excerpt for a flavor of the humor and writing style: "Evidence that people are selling stocks at a time when they ought to be eating lunch is always regarded as a serious matter." Hahaha superb reading!